Nacho was born in (Santiago de los Caballeros, Dominican Republic). Nacho had always a great passion for music as child. During his elementary years he studied and played his first instruments that were the Guitar and the Saxophone. Nacho played at his church events with youth groups. Nacho was asked by his professors to perform during school music events, also. In addition to his ability to read music, picking up songs by ear was not a problem to accompany bands and other musicians. His interest grew more upon his teen years. 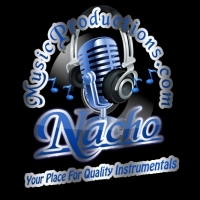 At the age of 15, already known to play instruments Nacho wanted to succeed more in the music industry. He then learned how to play the Bass Guitar. After Graduating from high school he Studied and got his degree in Recording Engineering & Post Production. Nacho played Bass at clubs with local Latin And American Groups playing Merengue , Bachata, Cumbia, Jazz, Rock and More. He played for known groups such as La Linea, La Formula 1(Victor Wail) and many others. After A couple Of Years Gigging he joined an Orchestra In New York known as The New York Downtown Symphony where he played the Double Bass. There He played Songs from Beethoven, Johann Christian Boch and many others. With all the experience in Music Theory & in the music industry so long, he decided to Learn Piano and work on arranging & creating his Recording Studio to produce quality music.